← Queen – One Vision. Publicat pe 22 septembrie 2015	de Cristi M.
In the early 1970s Mercury had a long-term relationship with Mary Austin, whom he had met through guitarist Brian May. He lived with Austin for several years in West Kensington, London. By the mid-1970s, the singer had begun an affair with a male American record executive at Elektra Records and, in December 1976, Mercury told Austin of his sexuality, which ended their romantic relationship. Mercury moved out of the flat they shared together and into 12 Stafford Terrace in Kensington and bought Austin a place of her own nearby.They remained close friends through the years, with Mercury often referring to her as his only true friend. In a 1985 interview, Mercury said of Austin, „All my lovers asked me why they couldn’t replace Mary [Austin], but it’s simply impossible. The only friend I’ve got is Mary and I don’t want anybody else. To me, she was my common-law wife. To me, it was a marriage. We believe in each other, that’s enough for me.” He also wrote several songs about Austin, the most notable of which is „Love of My Life.” Mercury’s final home, Garden Lodge, 1 Logan Place, a twenty-eight room Georgianmansion in Kensington set in a quarter-acre manicured garden surrounded by a high brick wall, had been picked out by Austin. In his will, Mercury left his London home to Austin, rather than his then partner Jim Hutton, saying to her, „You would have been my wife and it would have been yours anyway.” Mercury was also the godfather of Mary’s oldest son, Richard. 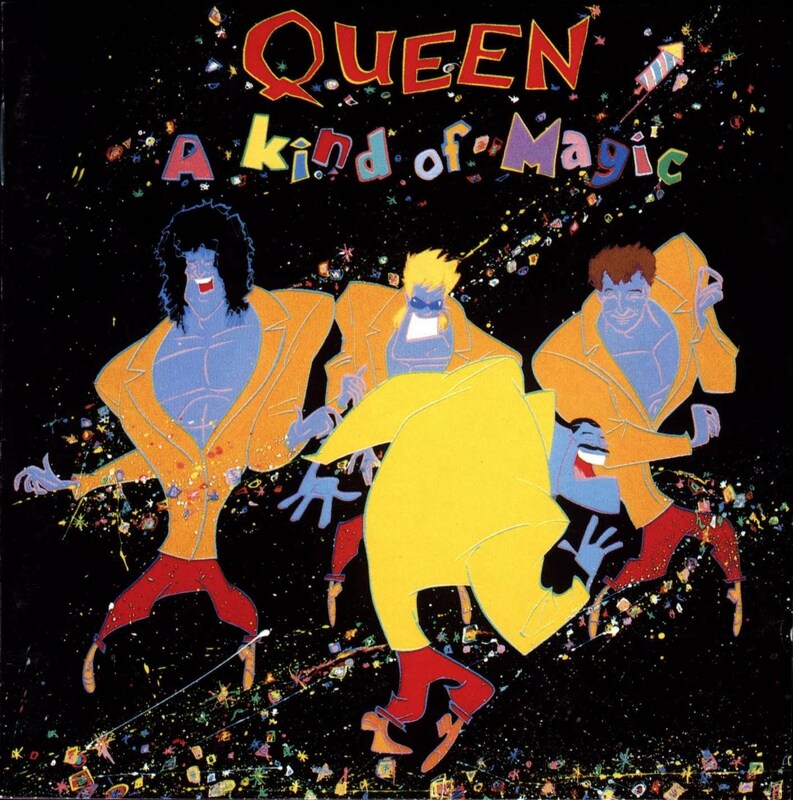 2 răspunsuri la Queen – A Kind Of Magic. Queen is one of my favorite bands!